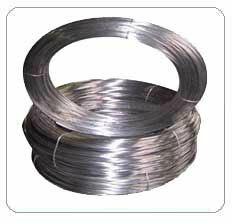 Our offered range of Wire is manufactured using high grade stainless steel that is sourced from reliable vendors. These are available in different shapes to meet the requirements of diverse industries such as automobile petrochemical and energy industry. Moreover, these can also be customized so as to suit the varied requirements of our clients.